Exogenous antigen cross-presentation is integral to the stimulation of cytotoxic T-lymphocytes against viruses and tumors. Central to this process are dendritic cells (DCs), which specialize in cross-presentation. DCs may be considered to exist in two radically different states of activation, generally referred to as immature and mature. In each of these states, the cell has a series of separate and specialized abilities for the induction of T-cell immunity. In the immature state, the DC is adept in surveying the periphery, acquiring and storing antigen, but has a limited capacity for direct T-cell activation. During a brief and defined window of time following DC stimulation, nearly every aspect of antigen handling changes, as it transitions from an entity focused on protein preservation to one capable of efficient cross-presentation. It is this time period and the underlying molecular mechanisms active here, which form the core of our studies on cross-presentation. RH and JC are supported by SIgN core funds. JC is supported by BMRC and Horizontal Program in Infectious Disease. The authors wish to thank Jessica Chen and David Skibinski for editorial review. We would also like to thank Ralph Steinman for his support and guidance. Silk KM, Silk JD, Ichiryu N, Davies TJ, Nolan KF, Leishman AJ, Carpenter L, Watt SM, Cerundolo V, Fairchild PJ. 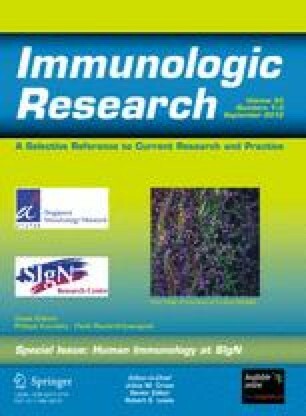 Cross-presentation of tumour antigens by human induced pluripotent stem cell-derived CD141+XCR1+ dendritic cells. Gene Ther. 2011. doi: 10.1038/gt.2011.177.